I retired to the couch on Thanksgiving Night, with two leftover turkey sandwiches, and flipped through the channels before I settled on some back-to-back episodes of The Great Christmas Light Fight. 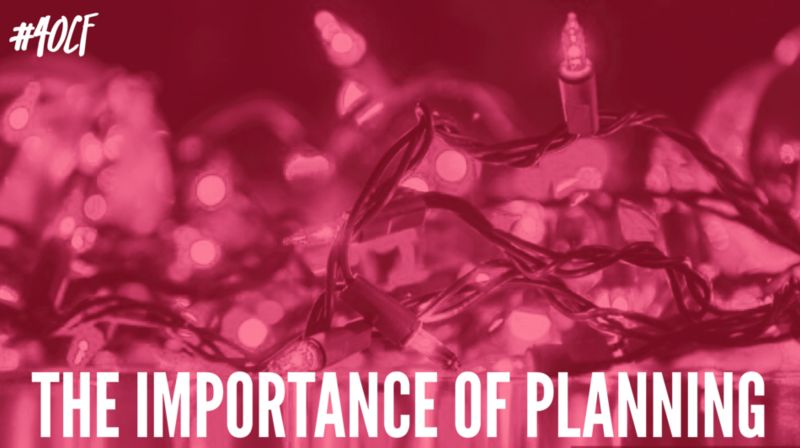 For those of you who are unfamiliar with the show’s concept, contestants compete with their over-the-top Christmas light displays, detailing the history of the lights, as well as all of the prep work that goes into the displays. After falling asleep mid-episode, I woke up on Friday with a renewed vigor to attempt my own light display. It didn’t hurt that the East Coast also saw an unseasonably warm Black Friday, somewhere in the mid 60’s. My Christmas Light Display is not nearly as over the top as those on the show, but does involve a certain amount of routine and preparation. First I check all the lights to make sure they work. Next I begin to layout extension cords and other necessary resources prior to getting started. Once I finish prepping all of my materials I start to unravel each strand one by one and meticulously lay out the strands across all of the bushes in our front yard. Finally, I wait until nightfall to check the display and make any final adjustments. When I see a great light display, I rarely consider the effort and meticulous planning that goes into it. While I was going through my decorating process on Friday, I couldn’t help but think of the parallel to our classrooms. When great instruction is happening in our classrooms, we often don’t think of the effort and planning that must happen first. Below are several steps you can take while planning a lesson in order to improve its effectiveness. Script ten questions that you’d like to ask during a lesson. This will allow you to ensure that you ask higher order questions, which can be very difficult to capture in the moment. Having the questions prepared lets you focus on other aspects of your lesson without having to think of good questions on the fly. Prepare activities that will engage learners who meet the lesson objective quickly. Extension activities can be a lifesaver. Spending time upfront to prepare meaningful activities (not just busywork!) can help to extend learning for students. Consider what steps you will take for students who don’t “get it” the first time. Have a few prepared strategies or reteaching methods that you will utilize at the first sign of struggle for students. This will allow you to take action immediately rather than struggling with which method to use once you recognize students that are having difficulty. Carefully plan your student partnerships prior to the lesson. Contemplate the strengths and needs of individual students and how they might work with other students. Keep in mind that some students might work better individually than they will in certain partnerships. Remember that planning and preparation is important to any lesson. While we all can appreciate what a great lesson ends up being, it is the work done before you walk into the classroom that makes all the difference. What steps do you take prior to a lesson to make it more successful? Share at #4OCF on Twitter.